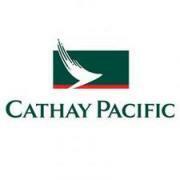 Cathay Pacific is offering special fares from Canada to Thailand. Round-trip fares to Bangkok are CAD833 (USD790) from Vancouver, CAD1,083 (USD1,030) from Toronto, and CAD1,153 (USD1,095) from Ottawa/Montreal. Taxes and surcharges are additional. 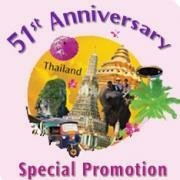 Sale fares are also available to Phuket. Fares are available until sold out for travel now – November 30, 2011, or December 24, 2011 – May 24, 2012. Fly from Sydney, Australia, to Bangkok, Thailand, for as little as AUD1,152 (USD1,185) during Qantas Airlines Thailand Sale. The quoted price is for round-trip economy class travel inclusive of all taxes and surcharges. Fares from other Australian cities are slightly higher. Promotional fares are available for travel on selected dates now through November 13, 2011. Explore Thailand with Emirates Airlines’ special fares to Bangkok and beyond. Roundtrip economy travel from Dubai to Bangkok is USD820 inclusive of all taxes and fees. The fare can be topped up to include a flight to Koh Samui for USD1,045, Chiang Mai for USD1,058, or Phuket for USD1,095. This promotion is available for bookings and travel until October 31, 2011. 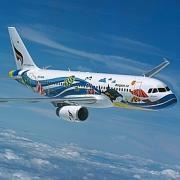 Bangkok Airways is offering special fares for online bookings made until September 30, 2011. Promotional one-way fares are 1,690 (USD56) for travel between Bangkok and Chiang Mai or THB1,990 (USD66) between Bangkok and Phuket. International fares to Yangon or Phnom Penh are also on sale for THB3,290 (USD110) one-way or THB4,290 (USD143) round-trip. Thai Airways, the flag carrier of Thailand, is offering special prices on all domestic flights during the month of August 2011. Departing from Bangkok, one-way fares are THB1,870 (USD62) to Chiang Mai, THB2,170 (USD71) to Krabi, and THB2,265 (USD75) to Phuket. Taxes and surcharges are additional. Promotional fares must be issued and travel completed by August 31, 2011. Whether you’re departing from Phuket, Krabi, Hat Yai or Bangkok, Tiger Airways has the lowest prices for direct flights to Singapore. One-way fares from Bangkok start from THB1,300 (USD43) and one-way fares from the other cities just THB700 (USD35). Taxes and surcharges are additional. Promotional fares are subject to availability and prices will be higher on weekends and holidays. Thai Airways is celebrating their 51st anniversary by offering a free domestic flight with the purchase of a round-trip international flight. Passengers only need to pay the taxes and surcharges and can choose from domestic destinations like Bangkok, Phuket, Chiang Mai, and Krabi. Tickets must be booked by July 31 and the travel period is until September 30, 2011 for most destinations. Orient Thai Airlines is celebrating their 16th anniversary by offering one complimentary flight to any passenger who flies on their birthday between June 1 and October 31, 2011. Passengers only need to pay THB600 (USD20) to cover taxes and surcharges. Orient Thai is a domestic airline and flies from Bangkok to Chiang Mai, Chiang Rai, Phuket, Hat Yai, Trang, and Nakhorn Sri Thammarat.